Bringing Sherry vom Kirschental to the USA is a dream come true for us. We are proud to offer a dog of this caliber at stud. Sherry has proven himself in work, earning SchH3 AND his HGH at just 3 years old. 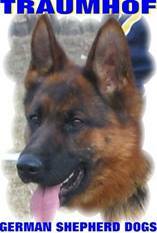 He is a 2X Sieger at the BSZS in HGH males 2006/07. Sherry was successfully shown in the open class as well, earning V1 & placing ahead of top male Campino Piste Troph. Sherry's progeny all carry his deep black & red pigment. He is passing good bone strength, his lovely character, and his drive to his offspring. 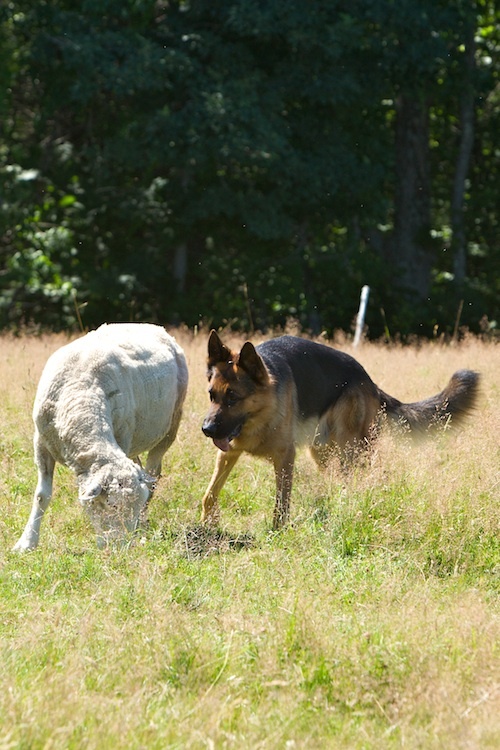 Traumhof German Shepherd Dogs is a small breeding program, based at our home, on a Farm in NH. 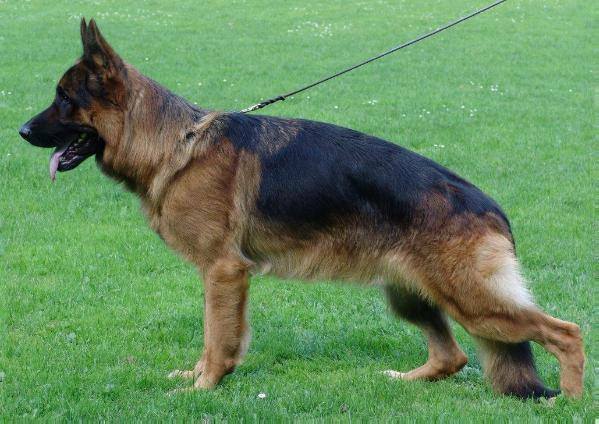 At Traumhof, we believe the German Shepherd Dog should work as he was originally intended to, and our dogs are bred with this in mind. Our dogs are 100% German lines & all our current generation descend from Karl Fuller's Kirschental bloodline. 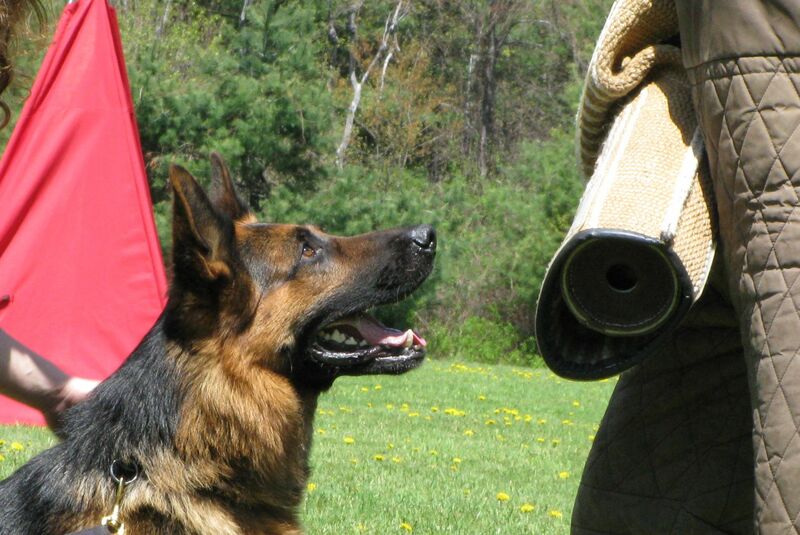 We strive to produce highly trainable, intelligent dogs with good looks. Good health and good hips goes without saying, as a dog with poor hips and poor movement would have trouble working/herding sheep all day long! We aim to produce a "Golden Middle" dog, embodying both good looks and a good working brain! Our search for the perfect foundation led us to the bloodlines of Karl & Marion Fuller's Kirschental kennels, in Germany. The wonderful Kirschental lines, respected the world over, are the pillar of our program. Our puppies are raised in our home. 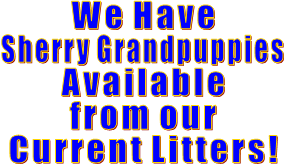 Our puppies are well socialized and handled all the time, raised in a stimulating environment. We love our furry family members, and we know you will too! 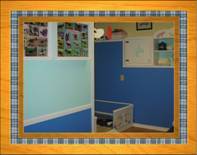 Pictured are some views of our new farm, original farm, and the puppy nursery, where our puppies are born! 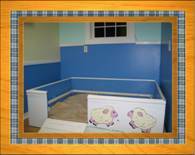 View of one Puppy Nursery. 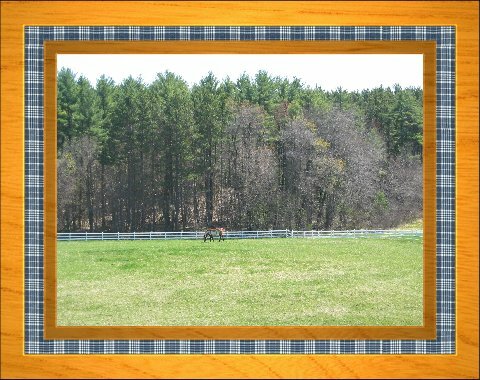 One of our lovely fields.